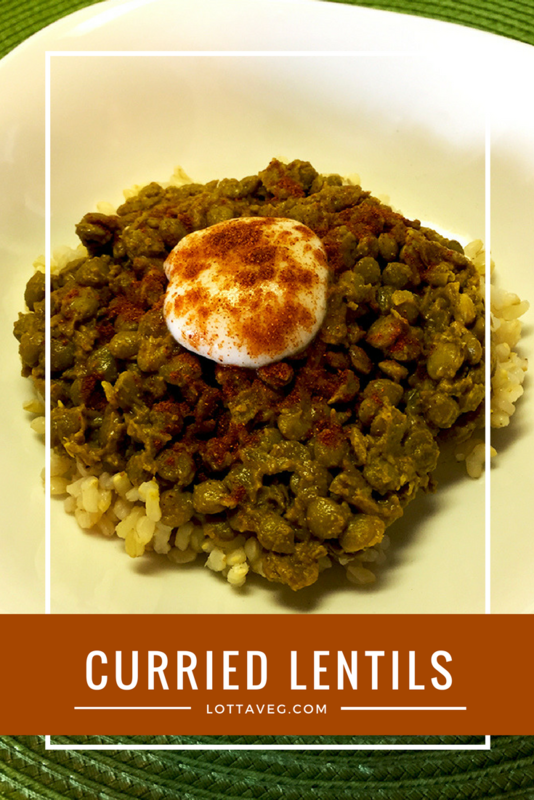 Curried lentils are a favorite. These are super flavorful and fill our house with delicious curry smells. 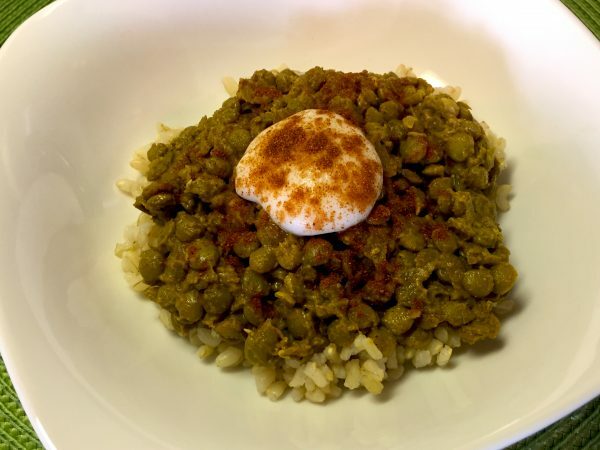 We prefer green lentils served over brown rice. Soak lentils for 1 hour for faster cooking. Prepare the brown rice according to the package instructions. Saute chopped onion, minced garlic and ginger in a large soup pot with 1/4 cup veggie broth until soft, about 5 minutes. Add 1 tbsp curry powder to the pot and saute over low heat, stirring continuously for 1 minute. Add the remaining broth and lentils to the pot. Stir to combine and simmer until the lentils are soft, about 45 minutes. Add remaining spices, lemon juice and soy sauce and continue to simmer over low heat to blend flavors, about another 1 minute. 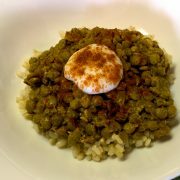 Serve 3/4 cup lentils over 1/2 cup brown rice. Optionally top with a dollop of plain, unsweetened vegan yogurt and a sprinkle of paprika. Serving size is 3/4 cup lentils over 1/2 cup brown rice.